Could a young UK grocery delivery company once shunned by investors become a global tech giant? Analysts at one brokerage certainly think so. Shares in Ocado (OCDGF) surged by as much as 6% in London on Wednesday after analysts at Peel Hunt said the online supermarket and software developer had a chance to be the next Microsoft (MSFT). "It doesn't happen very often, but we believe Ocado Solutions has potential to become the 'standard' platform for retail logistics across all sectors as the operating system of retail," the analysts wrote. They're not alone in cheering on Ocado, whose shares are up 153% so far this year alone. A deal in May to automate Kroger's warehouses has been one of the catalysts for the storming market run — a far cry from 2010 when the company's IPO flopped. The challenge for Ocado, which operates a fleet of trucks decorated with massive fruits, is to make its logistics software the e-commerce industry standard. "Whilst the company is currently focusing on exclusive contracts within the food retail vertical, we would advocate an eventual shift in its focus towards becoming the open industry standard; just like the Windows operating system," the analysts wrote. 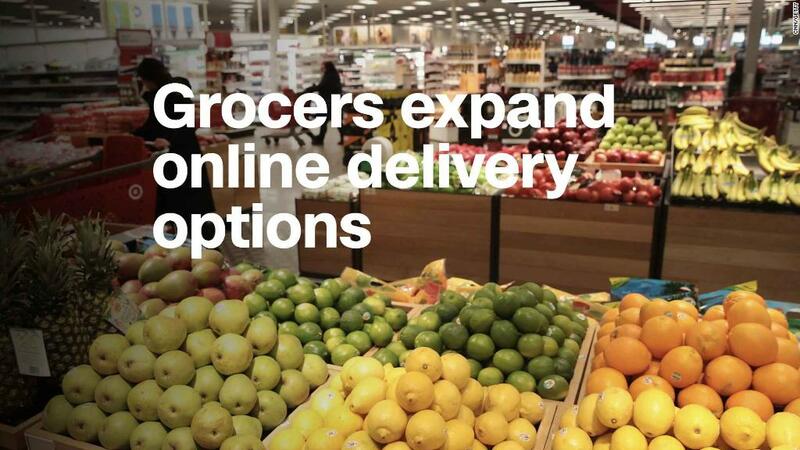 Ocado says it has 580,000 active grocery delivery customers. But it also runs the online delivery business of major UK grocery retailer Morrisons (MRWSY), and its logistics technology can be licensed to other customers. Peel Hunt analysts argue that Ocado will thrive if it can get its software into lots of new hands, and quickly. "Whilst Ocado's technology today is about giving its clients an exclusive upper hand over their peers, the success of a business is intrinsically linked to making it available to all," the analysts wrote. Ocado's e-commerce tech offerings span automation and robotics, web apps and artificial intelligence. The company's newest fulfillment center, which opened in May, is comprised of a three-story aluminum grid of boxes. A fleet of 1,100 robots pluck items out of the crates and deliver them to stations where humans assemble customer orders.